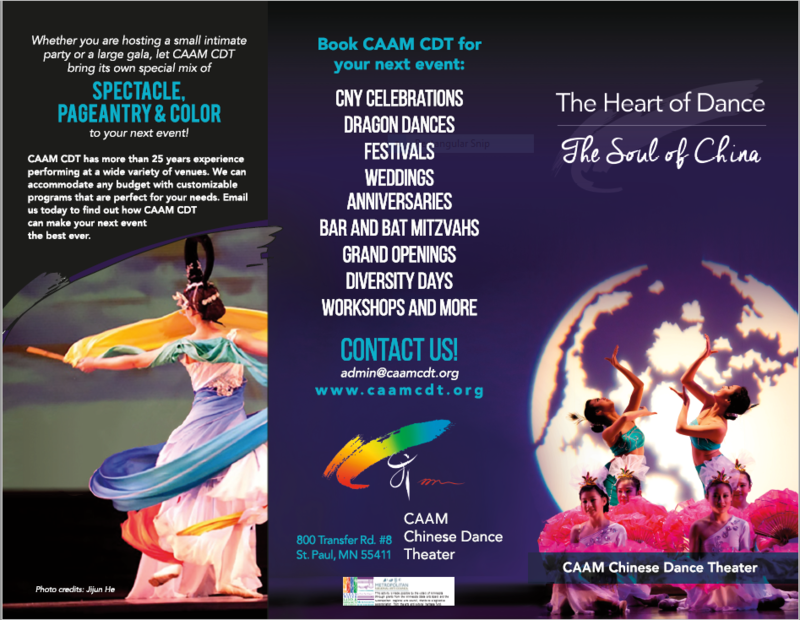 CAAM CDT is available to make your next event the most spectacular and memorable event ever! We are highly sought for festivals and fairs but also perform for businesses; fund-raisers; and private events. Think of us for your next wedding, anniversary, bar or bat mitzvah, graduation, or birthday celebration! Our dragon dancers are particularly popular for Grand Openings, parades, Farmers’ Markets, and Chinese New Year festivities. 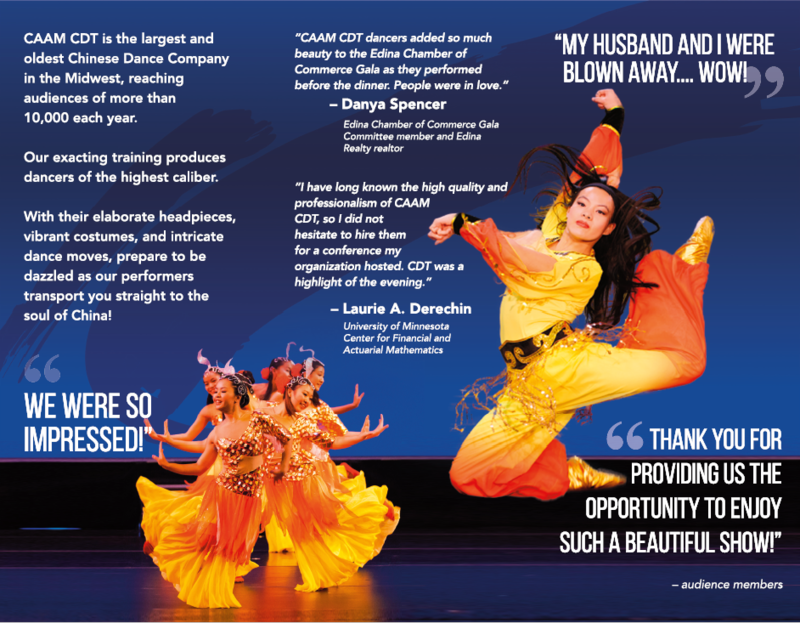 Learn more by downloading our free brochure here.